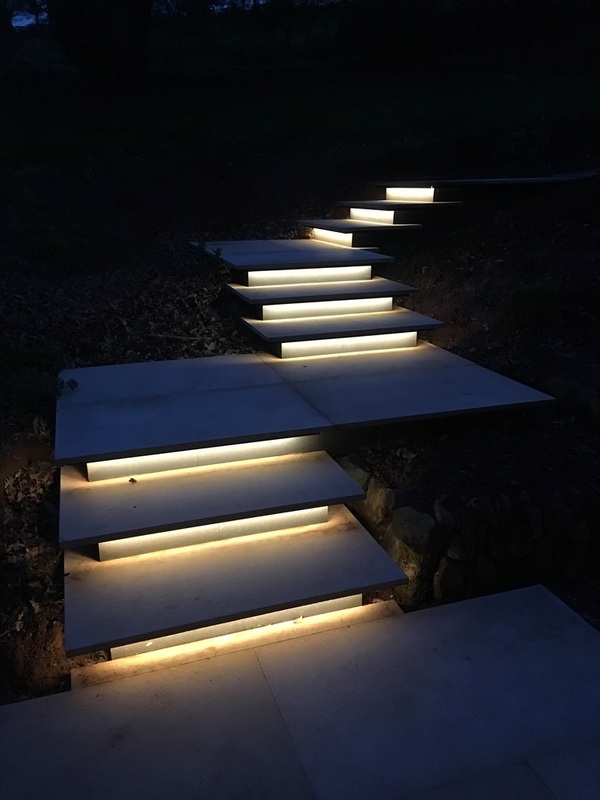 This project includes, alterations and an extension to an existing historic house, which used to be a folly for the neighbouring Sharpham Vineyard Estate; a new entrance porch and external floating steps; the conversion of an existing outbuilding and a green oak timber frame pergola connecting the two buildings. The first phase of the project saw the conversion of the dilapidated outbuilding into ancillary accommodation for the main house, which also functions as a successful bed & breakfast. 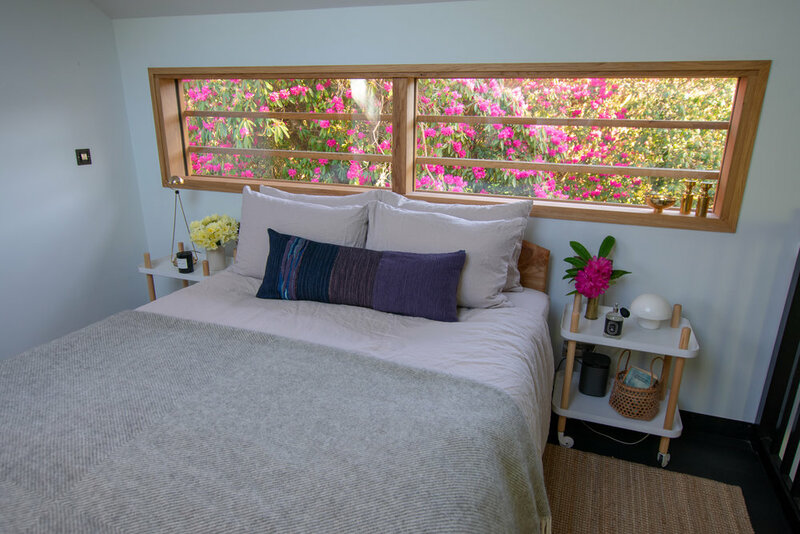 The Bothy (as it is now known) offers a stylish and comfortable space with open plan living. External charred larch cladding contrasting with oak joinery gives the modest structure a distinctive character and a place in the landscape. 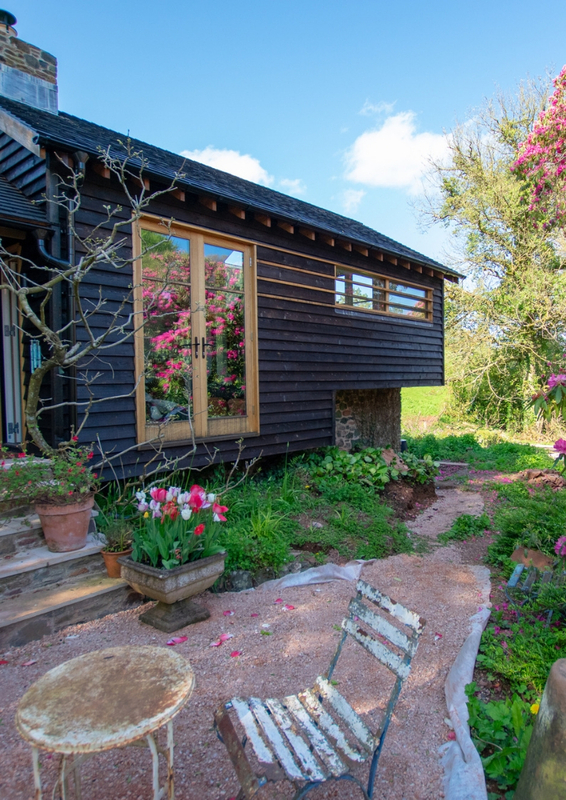 Complete with a log burner and extensive views to the garden and beyond, it is the perfect little Devon retreat. On the main house, a new green oak timber frame porch created a more formal covered entrance space and a better sense of arrival for guests. 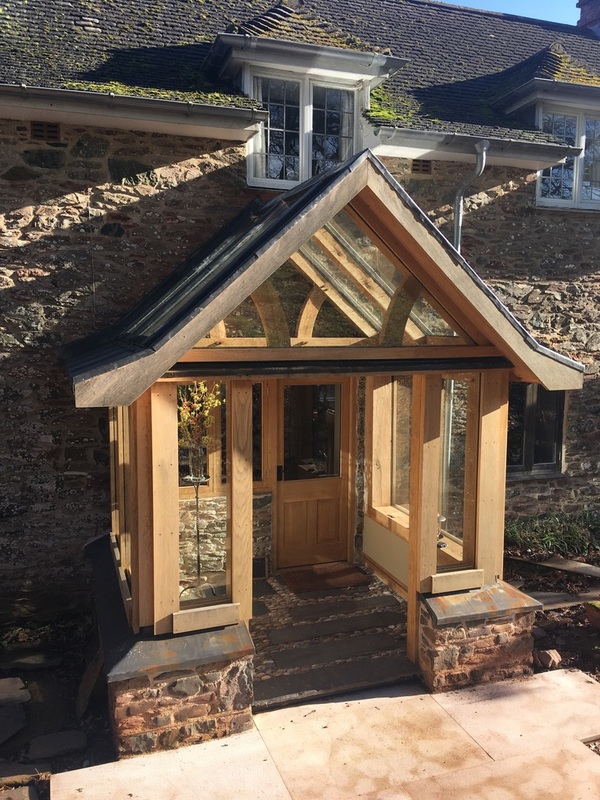 We handcrafted the small timber frame at our Devon workshop and erected the structure on site, also installing the glazing. The clients made a beautiful job of creating their own mixed cobble and slate floor, which gives this space a real arts and crafts feel. The second phase will see the commencement of internal works to the main house, including a new open plan kitchen and living space. The green oak pergola will be the final piece of the project to be completed. Services - concept design, planning permission, building control approval, fabrication drawings, bespoke window and façade fabrication, timber frame construction and glazing installation for new porch.